This fish is rather aggressive to species of their own kind. You should keep one male together with several females. In this matter aggression can be divided. In a very large aquarium with enough hiding places it is possible to keep more males. The aquarium should be set up with substrate of fine gravel and a lot of rocks that form caves and crevices. A regular changing of the water is necessary. In their natural habitat they feed on microorganisms and crustaceans between the algae on the rocks. In the aquarium you can give vegetable food such as spirulina. Don t give them food with a large part of protein because they can get enteritis with a fatal end. Breeding is easy. A small amount of eggs are laid on a stone. Immediately after that they are taken in the mouth by the female. They are fertilized by the male using the dummy egg method. The female retreats behind the rocks. After a while the young fishes leave the mouth of the mother. You can raise them with small Cyclops and fine crushed dry food. 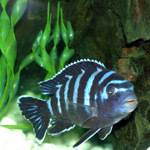 The Demanson s Cichlid is aggressive and is not considered to be a community fish. In fact, it should only be housed with other aggressive Mbunas. 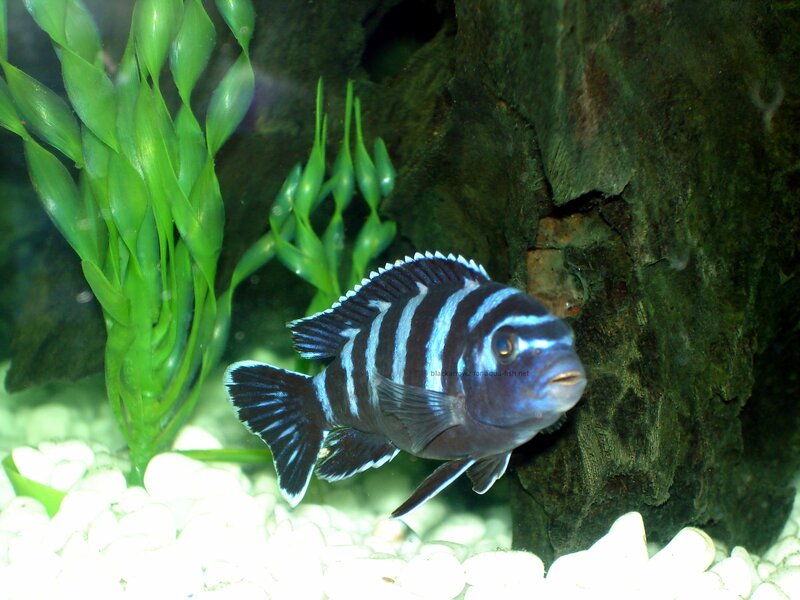 Only keep them in a community Mbuna designed tank with lots of rock structures. They are very territorial, even a 1/2 inch male will chase away a medium size fish from his territory. Do not house with similarly colored species, especially the Dogtooth Cichlid Cynotilapia afra or Kenyi Cichlid Pseudotropheus lombardoi. 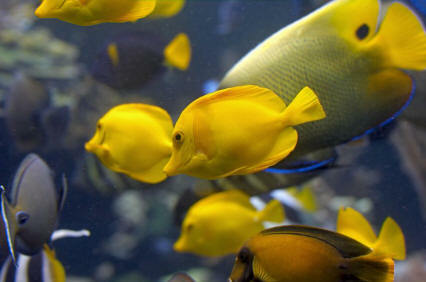 Do not house with ANY fish that has the same hue or other fish that have bars, including a yellow with dark bars. You can house them with a yellow Mbuna that does not have bars and they will be fine. 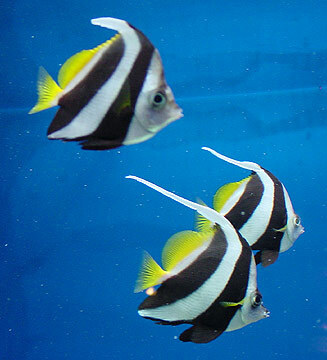 Some examples of appropriate tank mates are a yellow species of Electric Yellow Labidochromis caeruleus, the Red Zebra Metriaclima estherae, and the Cobalt Zebra Maylandia callainos.